Solve text problems with a couple of clicks. Clean Text is an essential tool for webmasters, graphic designers, developers and magazine editors made to reduce text cleanup and editing time, and it is a very convenient tool for all Mac users that need to cleanup and editing text from emails, documents, or other material. 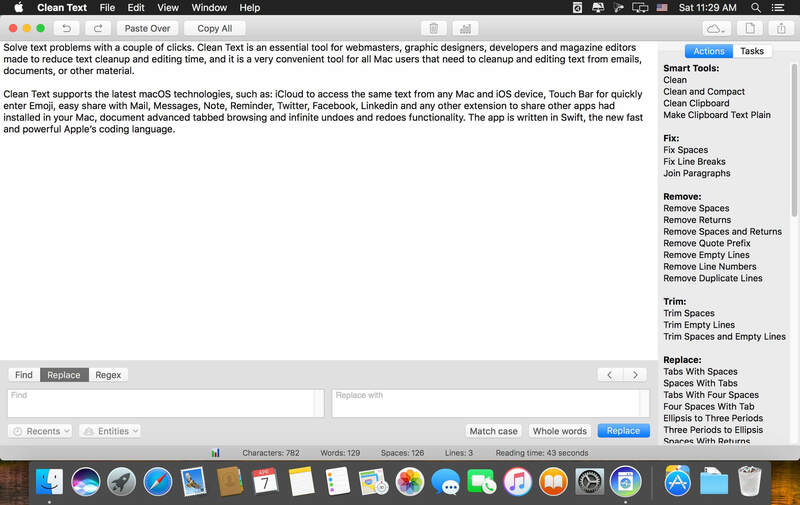 Clean Text supports the latest macOS technologies, such as: iCloud to access the same text from any Mac and iOS device, Touch Bar for quickly enter Emoji, easy share with Mail, Messages, Note, Reminder, Twitter, Facebook, Linkedin and any other extension to share other apps had installed in your Mac, document advanced tabbed browsing and infinite undoes and redoes functionality. The app is written in Swift, the new fast and powerful Apple’s coding language. New "Copy Highlighted" menu item. A functionality that allows you to copy to the clipboard all the text highlighted by a search (useful in RegEx searches). 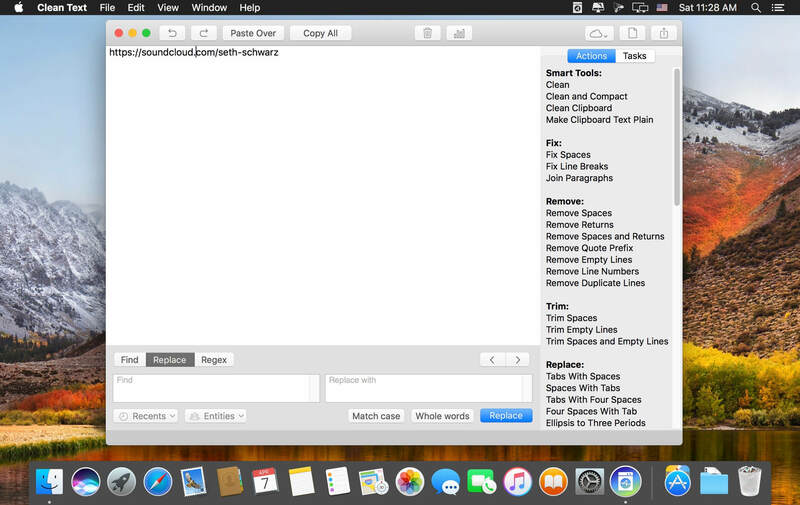 Now the "Copy All", "Paste Over" and "Clear All" features have their corresponding menu items in the menu bar.